Time for another update on the places you need to go out and get your signal photos now. First up is Birmingham, AL, and I don't mean all the work NS has been carrying out. 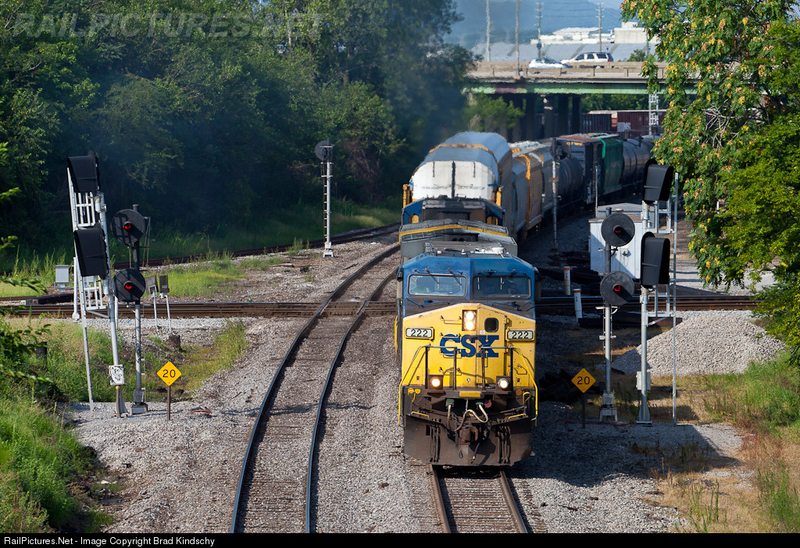 When it comes to signaling sterilization CSX is never out of the picture and it looks like it feel the need to catch up in that particiular region. The Darths are out in force at the 27th St interlocking. 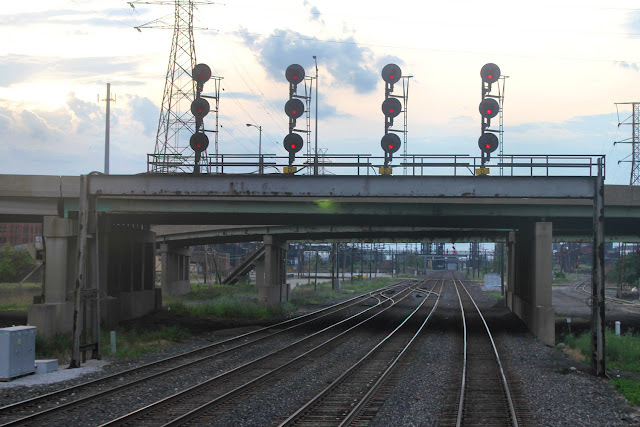 Over in Atlanta, NS appears to be re-signaling the East Point interlocking, but there is some hope that the far signal bridge might retain it's 1980's Southern style signals (yeah right). 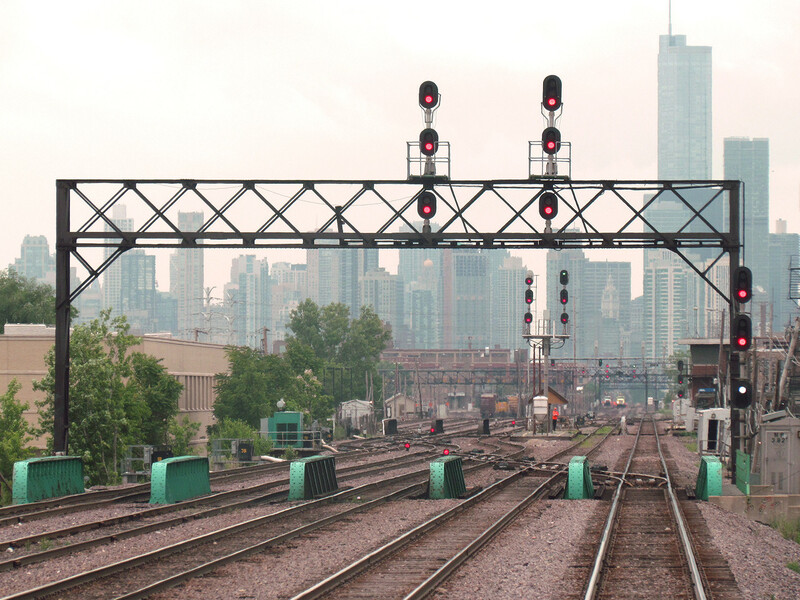 The slow re-signaling of the Chicago Line continues at CP-268. Further west I received reports of wide scale re signaling between HICK and Porter (CP-483). While this was expected as part of a capacity building project (and the reason that section of MC searchlights held on for so long) what caught me off guard was that CP-502 was also being caught up in the project. 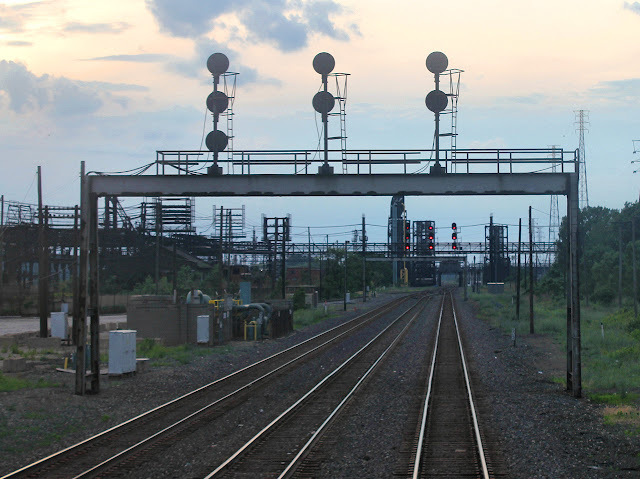 Previously part of HICK tower's zone of the control, CP-502 is known for the single IHB track crossing 3 NS tracks at grade. 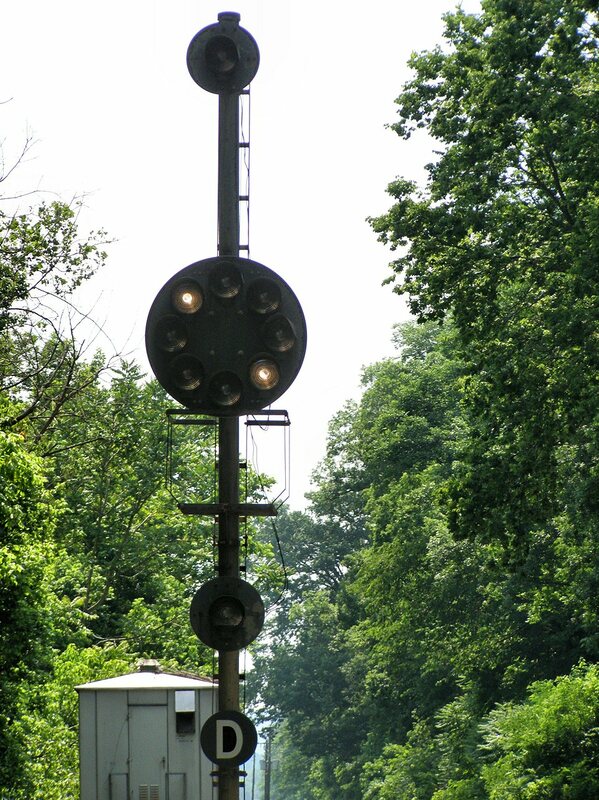 Anyway, I had assumed that if CP-502 was to be re-signaled it would be in a similar manner to HICK where the old Penn Central signal bridge was retained with new signals thanks to its robust design. 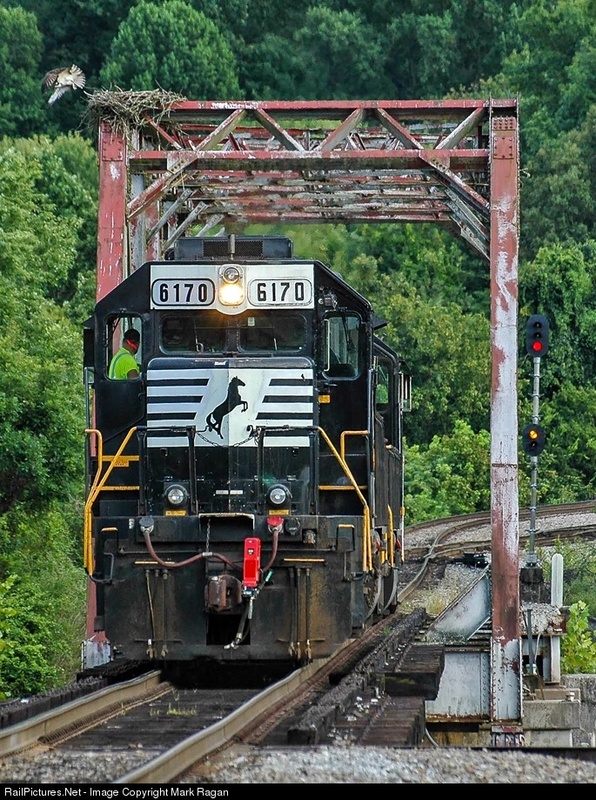 Sticking with NS the removal of N&W PL's is continuing in VA and WV. 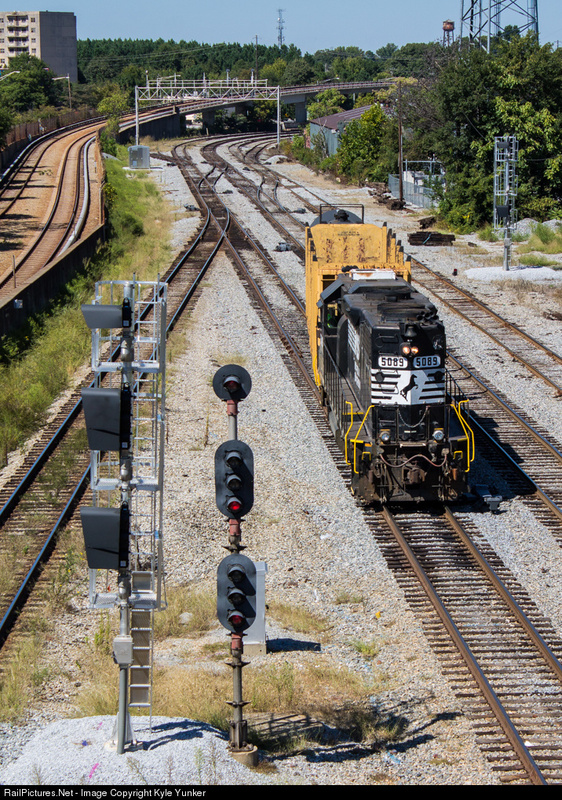 One possible silver lining is the mothballing of the old CSX Clinchfield route which may preserve any remaining classic signaling on the line. 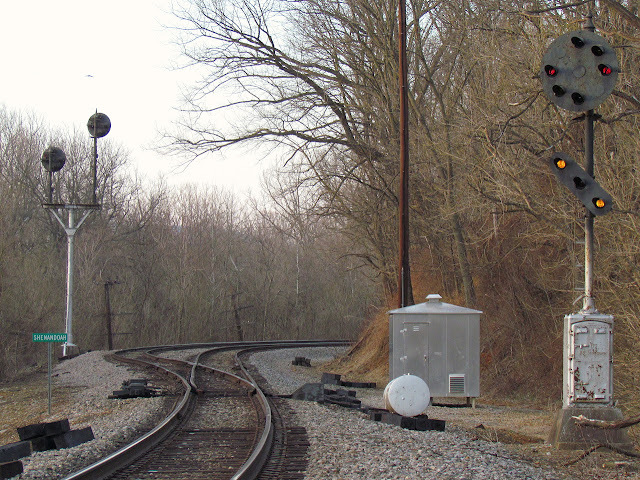 Over in Arkansas I don't like the look of that new signal mast hanging out near some MoPac style tri-light dwarf signals. Not exactly sure what is going on there, but it's worth a signaling alert for sure. Well I think that's just about everything I have for now. Have a happy Halloween and get out there and take some photos while the fall color is at its peak. Ah Restricting, not the rarest of signal indications, but definitely special in certain circumstances, especially in the now vanishing instance of running against the current of traffic in Rule 251 ABS territory. I had a number of CoC candidates featuring the Restricting indication in my queue so I decided to throw them up in their own episode. 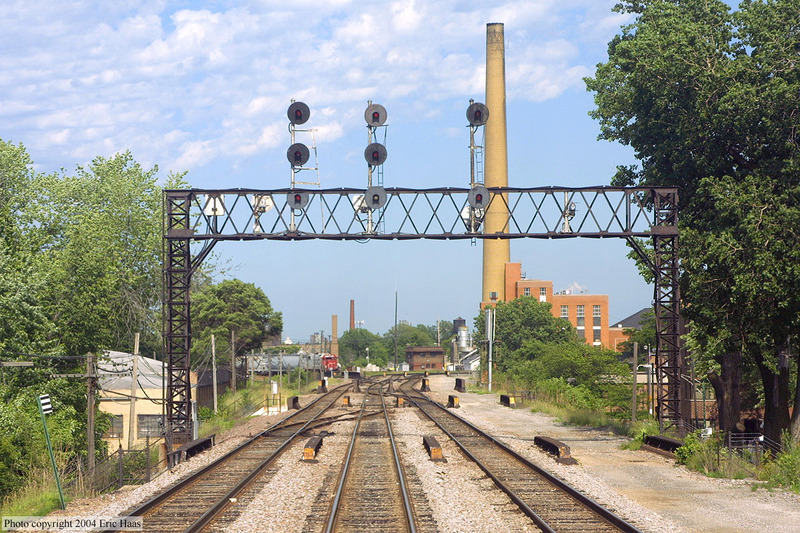 Here we see an interesting situation at the old 67TH ST tower on the Metra Electric division. This outbound train is wrong railing on the South Chicago Branch and just passed the 114 signal, displaying a Restricting indication. 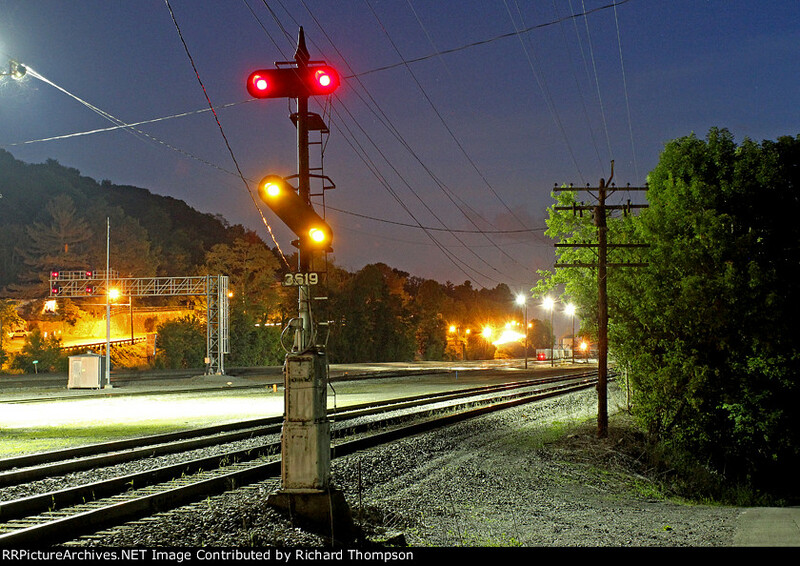 The logic of the old GRS Model 5 interlocking machine is such that the signal will continue to display even if there is a train occupying the track. Of course US&S would never stand for such signaling shortcuts. 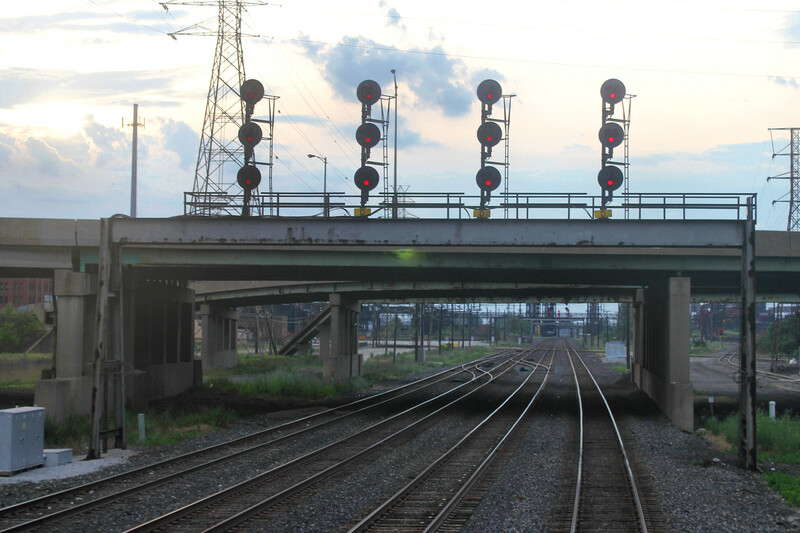 You can bet when a train passed the 60R signal displaying Restricting at THORN interlocking, it would drop to Stop. 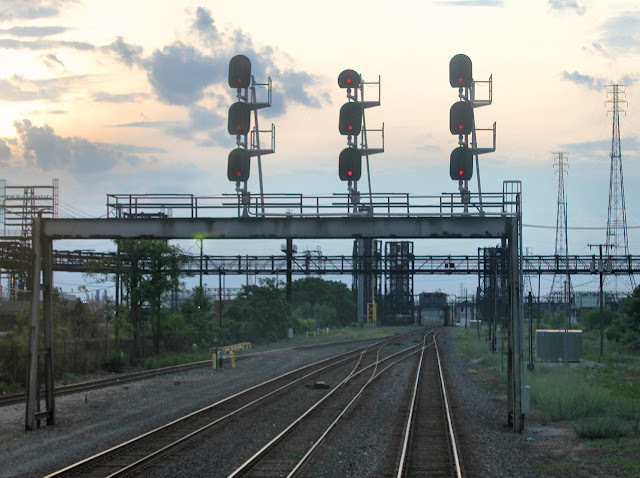 Sometimes a Restricting was just an inexpensive way to signal low speed crossovers, as seen here at Metra's TOWER A-5 and UP's KEDZIE interlockings. Here we see the eastbound PRR PL signal gantry at CP-GRAY with the track 1 signal displaying a Restricting indication. 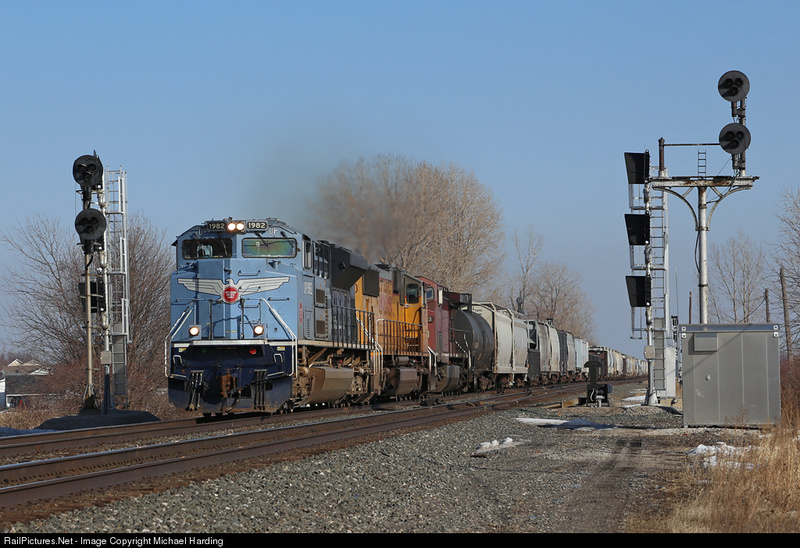 More often than not freight railroads do a pretty good job keeping signals at Stop so this one must be fleeted for a wave of eastbound movements. This photo illustrates the use of lowest yellow Restricting with the middle middle head. Here a light engine move is heading into the yard at Clinton. TN as an osprey takes flight. 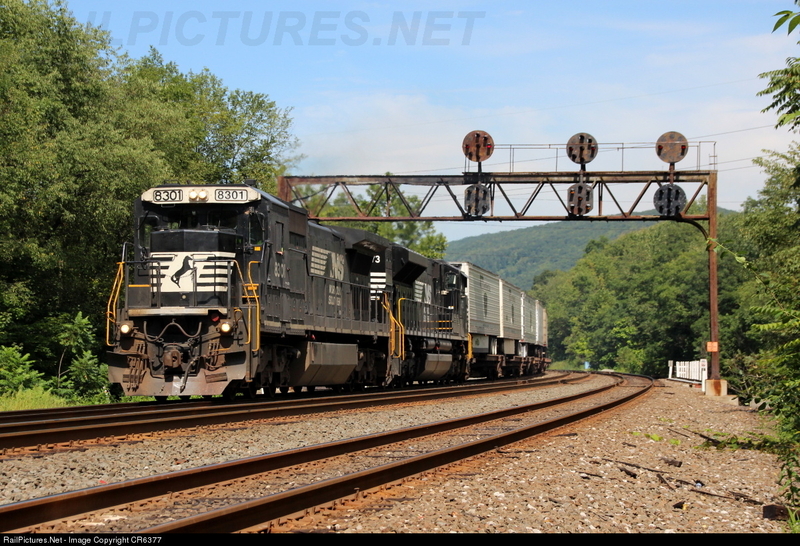 Moving into N&W territory I managed to catch a route lined for the yard in Shenandoah, VA.
Yards are a pretty popular place to catch Restricting indications, like this one at EAST BRUNSWICK as displayed on a B&O CPL. 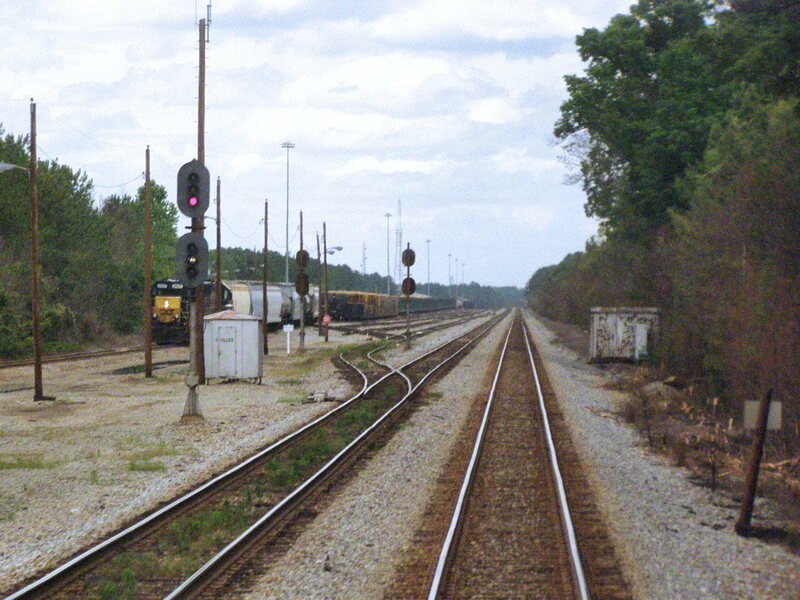 Here is another example of a train being signaled into a yard, this time at Collier, VA on the old SCL A-Line. This example shows how the Seaboard would need to find space on the US&S N-3 elephant ears for the awkward 4th color. Finally in Bluefield, WV we see an automatic N&W style position light with a fixed Restricting indication. Simple in operation, but stunning in the right light. That's a 43 lever US&S Model 14 machine there. At this time of day everything is pretty much running on auto. After two years of tripping down the Port Road I through it would be good to provide a single point of reference for anyone looking to make the journey on their own time. I also wanted to let people know that I made a number of minor modifications to some of the post including the use of scans from the Conrail 1997 Philly Division interlocking charts. Anyway, if you joined this series part-way through there is no longer any reason not to check out what you missed.